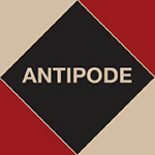 As many will know, Antipode: A Radical Journal of Geography is owned by the Antipode Foundation, a charity registered here in the UK. The Foundation grants an exclusive right to publish the journal to Wiley, and the surplus received is reinvested in the wider critical geography community. As well as Antipode’s Lecture Series and the Institute for the Geographies of Justice, among other things the Foundation makes two kinds of grants. 2018 is the sixth year of the Antipode Foundation’s Scholar-Activist Project and International Workshop Awards. Scholar-Activist Project Awards are single-year grants of up to £10,000 intended to support collaborations between academics and students and non-academic activists (from non-governmental organisations, think tanks, social movements, or community/grassroots organisations, among other places), including programmes of action-orientated and participatory research and publicly-focused forms of geographical investigation. They offer opportunities for scholars to relate to civil society and make mutually beneficial connections. International Workshop Awards are single-year grants of up to £10,000 available to groups of radical/critical geographers staging events (including conferences, workshops, seminar series and summer schools) that involve the exchange of ideas across disciplinary and sectoral boundaries and intra/international borders, and lead to the building of productive, durable relationships. They make capacity-building possible by enabling the development of a community of researchers. Activists (of all kinds) and students as well as academics are welcome to apply, and applications are welcome from those based outside geography departments; historians, political scientists and many others can apply if their work contributes to radical/critical geographic conversations. Also, the Foundation welcomes proposals from historically under-represented groups, regions, countries and institutions. For more information, including application forms and details of recent awardees, see https://antipodefoundation.org/scholar-activist-project-awards/ and https://antipodefoundation.org/international-workshop-awards/ or just get in touch with Andy Kent – antipode@live.co.uk – with any questions. This entry was posted on 14 May 2018 by Antipode Editorial Office in News and tagged academic conferences, academic meetings, action research, co-enquiry, collaborative research, cooperation, funding opportunities, International Workshop Awards, participatory research, public engagement, public geographies, scholar-activism, Scholar-Activist Project Award, seminar series, summer schools, the Antipode Foundation.